Whilst young and strong, we think of the future and do our best to make it happen. We build a family and perform our tasks and responsibilities. Days turned to months and eventually it became years. One day we will wake up and find that forty or fifty years have passed and we are left to take care of ourselves. This is called retirement. It is important that we put retirement into consideration while we are young so that when time comes, we will sit securely and comfortably. Retirement is a state where a person stops working because of old age. 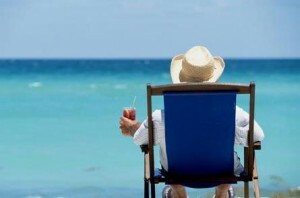 Retirement entails pension which is subsidized by employers or the state. Usually retirement age ranges from fifty to sixty three depending on the company or the country. People that are forced to retire despite of young age are victims of accidents and illness. These people are also given what is due them. Retirement means more time for the things we want to do but the real challenge lies in making many ends meet. Pensions are not always big and sometimes, it can never be enough. If we are on this stage, it is imperative that we manage our money well. The secret to retiring securely lies in our hands. Our type of lifestyle for example should be examined. If we are used to extravagance, aside from the pension, we should consider other sources of income or investments that are earning. If we are used to simplicity, it will be easier. If we want our retirement to last, we should not exhaust everything at once. Ideally, living expenses in retirement should be reduced but there is a tendency that as we age, certain expenses will increase like the health care costs not to mention other miscellaneous things.